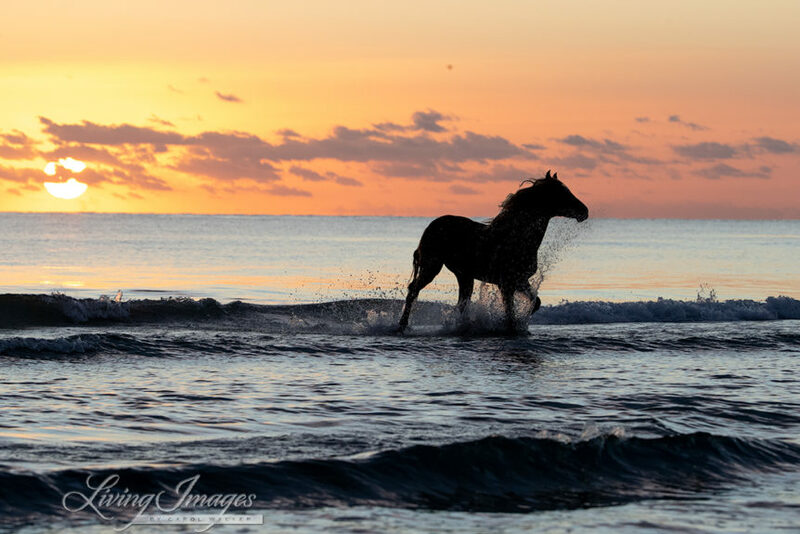 One of the Barb stallions runs in front of the rising sun through the water toward the beach in this image. 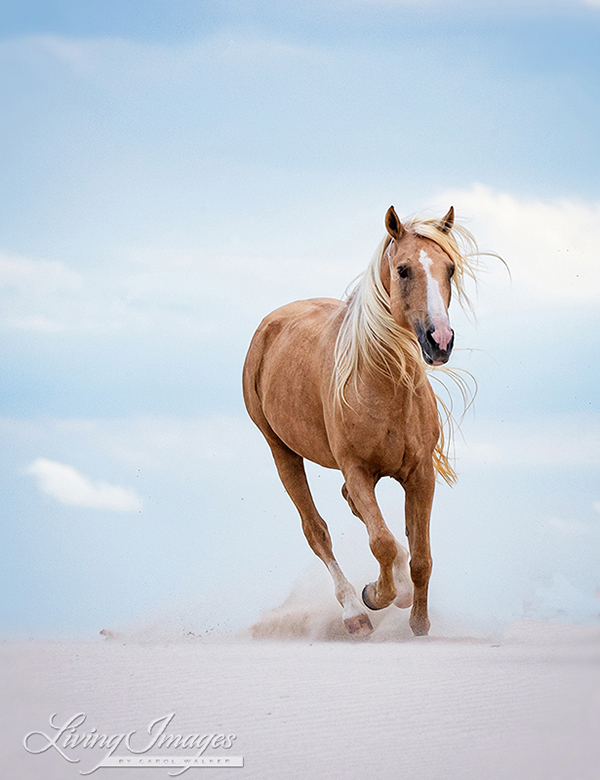 A beautiful Palomino stallion named Nassim runs in the dunes on a softly overcast day. 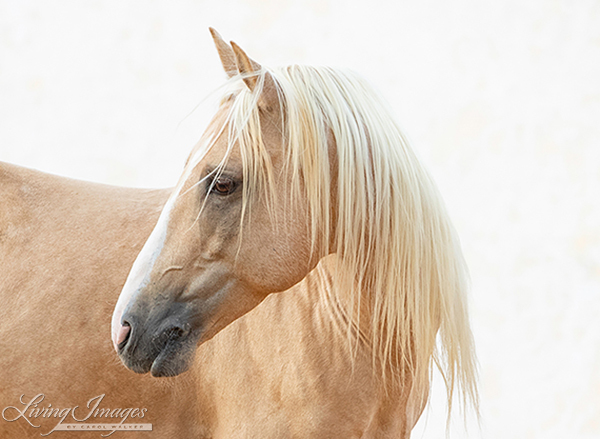 Here is Nassim in a quiet moment, turning his head to look at his friends in the next paddock. 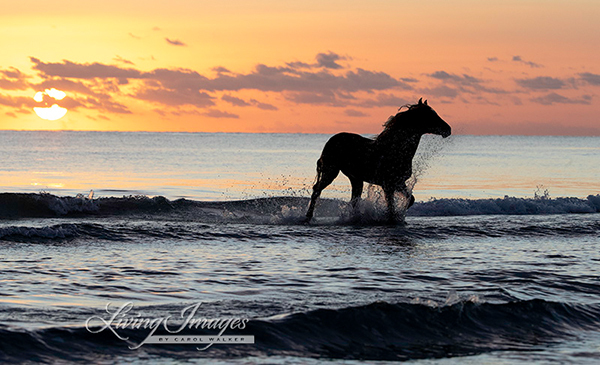 A spirited game of “chase me, I have the leaf” ensues in the arena when these three stallion friends get together.